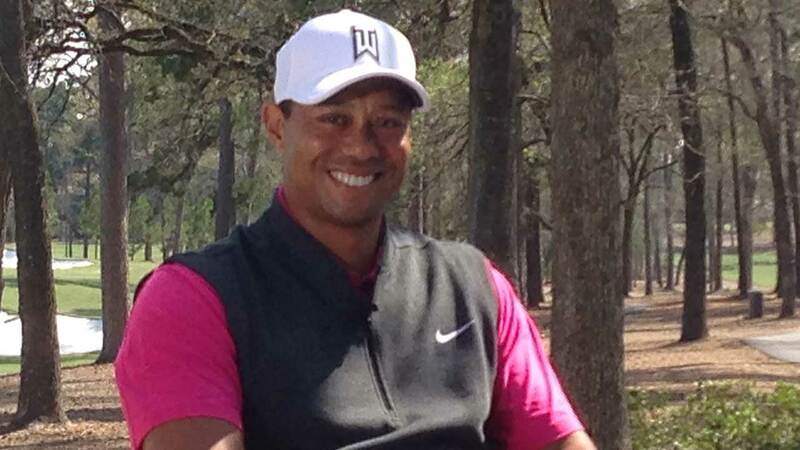 MONTGOMERY, Texas -- An 11-year-old from Corpus Christi had a day he'll never forget on the golf course - and it happened with Tiger Woods watching. Woods was on hand for the opening Wednesday of The Playgrounds at Bluejack National, which he helped design. South Texas PGA junior Taylor Crozier stepped up to the first tee and knocked in the inaugural shot on the 81-yard, par 3. The crowd went wild. Woods posted the YouTube video on his Twitter page. He ran over to the boy and gave him a big bear hug, smiling and laughing. The Pierce family is moving just a few miles from their Montgomery home to BlueJack National Golf Club. Future resident Robyn Pierce says, "We just decided to come out and play golf as a family and in the end decided to build a house out here." Woods shouted to the crowd, the "inaugural shot and he holes it!" Woods has been off the PGA Tour as he recovers from back operations.